Giant milk bottle near the Children's Museum. Is this bottle a place where to drink milk ( like in a bar)or to buy milk?.. Cool milk bar, if that is what it is. That's one large milk bottle? I like the little windows and awnings. But, why is it there? 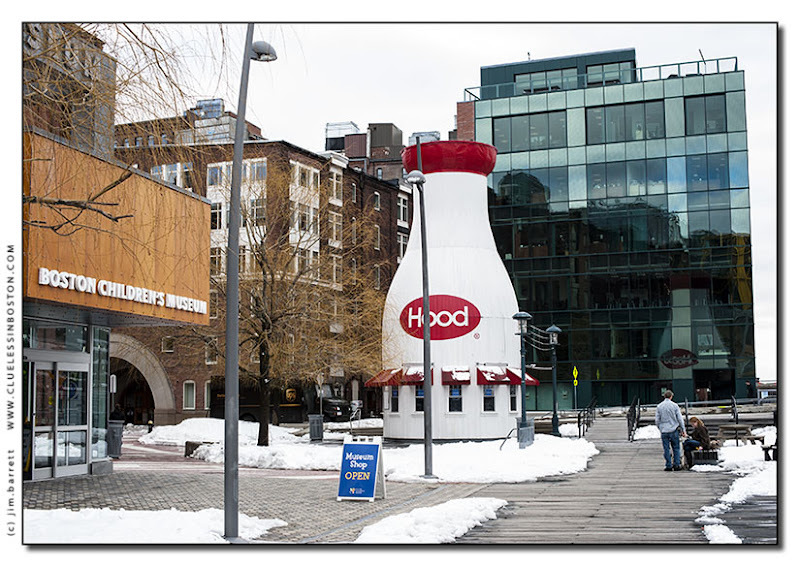 The giant milk bottle is a snack bar, in warmer weather, for all the kids and their parents who come to the Children's Museum and want to sit out by the channel. This is one of the icons of the downtown area. Sweet. wow this is very interesting, a creative idea!